The kiddos have dubbed the basement Santa Lane. Why? It’s because they are not allowed downstairs for the foreseeable future until mommy finishes her official Santa Helper assignments. NO PEEKING! I hope to post lots of pics of the cuteness being created, but for now it’s all very hush-hush. This past weekend while everyone else was battling the crazy snow, I got to have a great time working on Christmas projects with two friends. Thanks, Kim and Karol! You guys ROCK! And, thank you, honey, for hanging out with all the kiddos. :o) I am a lucky girl! 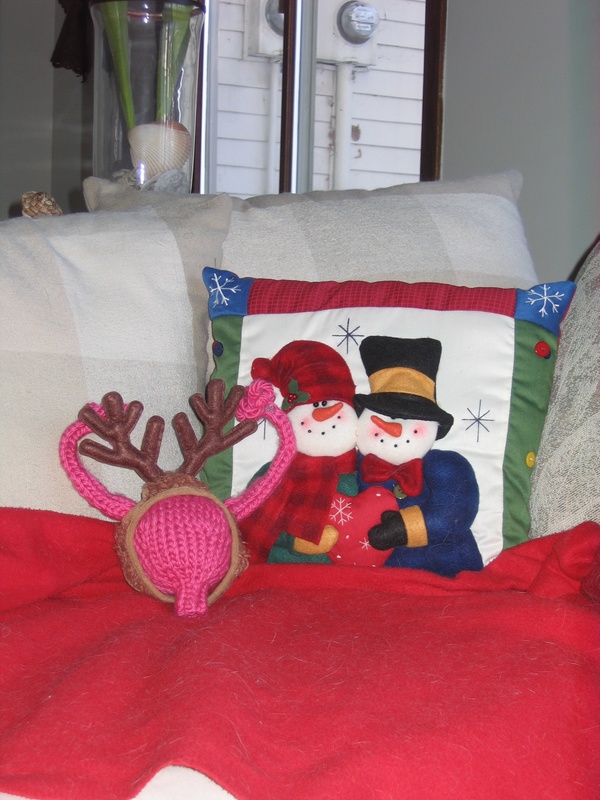 Below is a picture of something I knit recently for a friend who had to have surgery. Um, you don’t need to know what kind of surgery, but I bet you can guess! I told my kids I was knitting her a cuddly monster doll to cheer her up. Ha! If you just have to make one yourself, the pattern is here. You can see it is dressed up in cat antlers all ready for Christmas. Nothing says “Merry Christmas” quite like it! 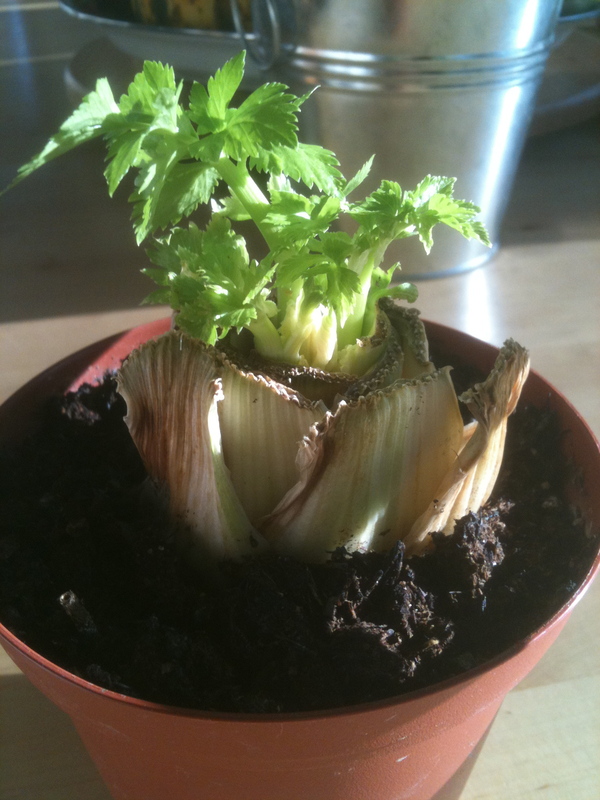 …they grow into an entire new plant. 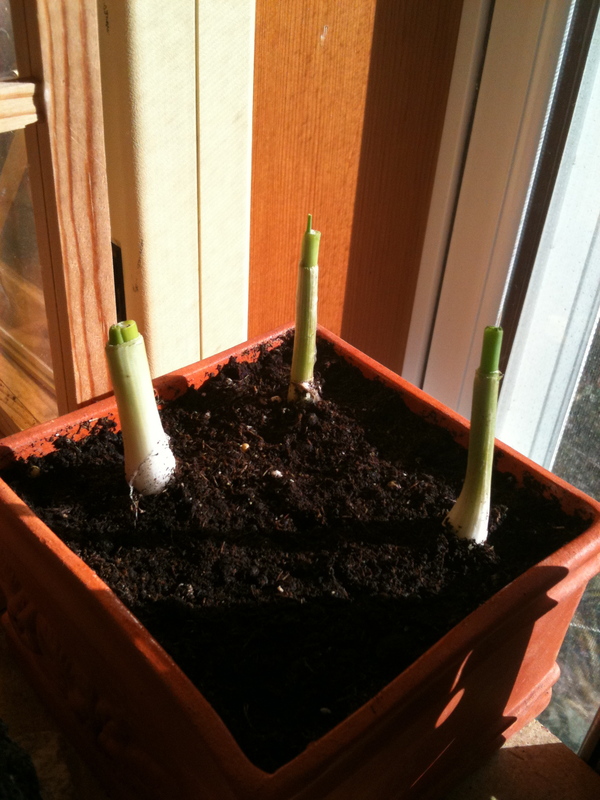 I am experimenting this winter to see if I can go the entire winter without buying any more green onions (this is just one small pot of onions. I have another larger one also). I am a garden geek. 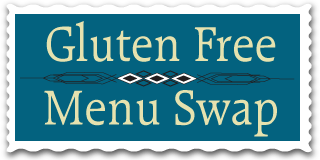 Well, onto the menu plan! Thanks for the tips about the onions and celery. I may have to get that started after the holidays. Looks like another busy, but delicious week for your family. Our weather is cold and windy today, so that chili and soup are really sounding good! Glad you joined us today. Hope you have a wonderful holiday! I have a rutabaga on my counter that’s growing, and it fascinates me. Mike keeps hinting about throwing it out and I’m like ‘NO!! That’s SO cool!’ Griffin thinks I should plant it. Now seeing what you’re doing, I might have to consider it. 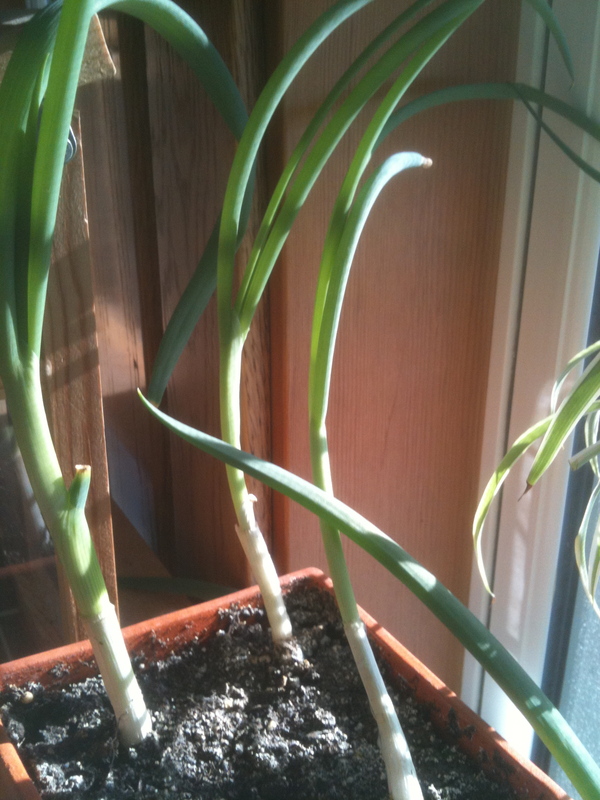 Last summer I threw green onion ends in the garden and they rooted and grew new ones. So very cool.